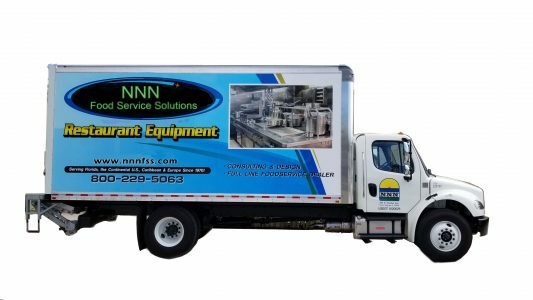 NNN Foodservice Solutions (formerly New & Nearly New Restaurant Equipment & Supplies) was founded in 1976 and since has been dealing in foodservice equipment & supplies, providing design and layout consulting as well as delivery and set up services. In 1984 we began servicing Hooters Restaurants (450+ serviced to date) by taking part in the design and layout of their first restaurant in Clearwater, Florida and then in 1989 also started with Beef ‘O’ Brady’s (250+ serviced to date). Throughout our 40 plus years of operation we have installed over 3,000 foodservice establishments all over the world, thus earning an excellent national and international reputation that has come through dedication to professionalism, commitment and a lot of hard work. We offer an extensive selection of foodservice equipment supplies and furnishings accompanied by expert advice and backed by our company’s 40 years of experience. Our consultants will work with you to choose the optimal return on investment with consideration to work flow, flexibility with menu and operations changes, ease of sanitation and supervision as well as space and energy efficiency and will provide you with the best delivery and set up options. Our mission is to provide top notch customer service as customer satisfaction and loyalty has always been our top priority. While we are proud of 40 years’ experience, we are always looking for ways to further improve customer satisfaction in the next 40 years.